I’ve been thrifting my entire life and was plus size for most of those years. My love for thrifting clothes was actually the reason I started a fashion blog way back in highschool! 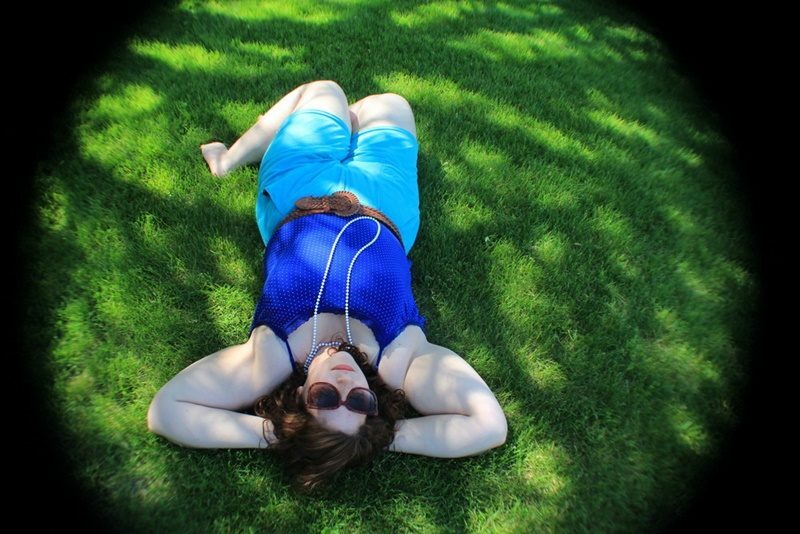 Even though I’m no longer plus size, I still feel just as savvy about finding the perfect clothes as I was back then and am happy to share what I’ve learned. Thrifting is always a hunt so here’s some tips for tracking down exactly what you want without wasting time! If you can’t even find a decent store to shop at, then all other plus size thrifting tips are useless! 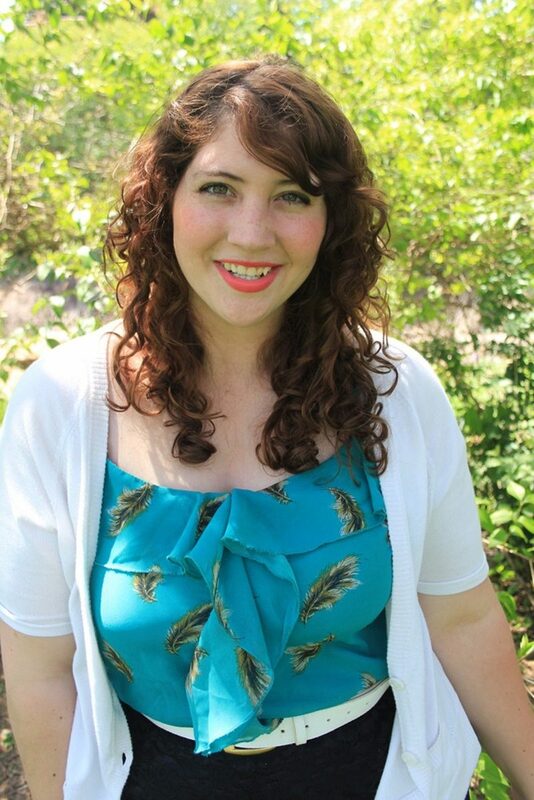 • Thrift in cities with stores that cater to plus size women. That way you’ll know plus size women likely live, shop, and donate there. 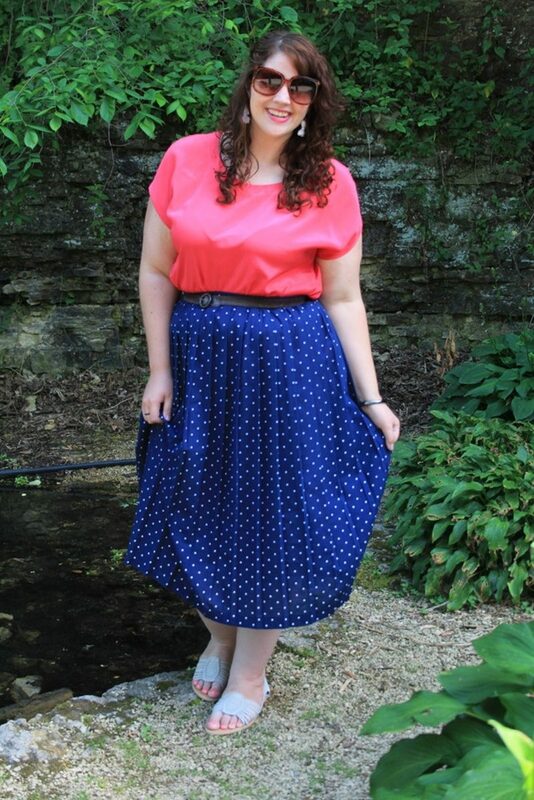 It would be difficult to find a Torrid piece if the nearest location is 3 hours away, right? Keep in mind that chains like Goodwill & Savers work deals to acquire close-out merch from Target, meaning you’ll have a chance at finding new w/ tag items from brands like Ava + Viv, A New Day, and Universal Threads. So this is awesome if you love Target clothes as much as I do! • Thrift near gyms. This may seem weird but stick with me! Women go to these places, lose weight, and then try to find the nearest store to donate their old, plus size duds. It seems logical they’d pick a place near where they frequent most! 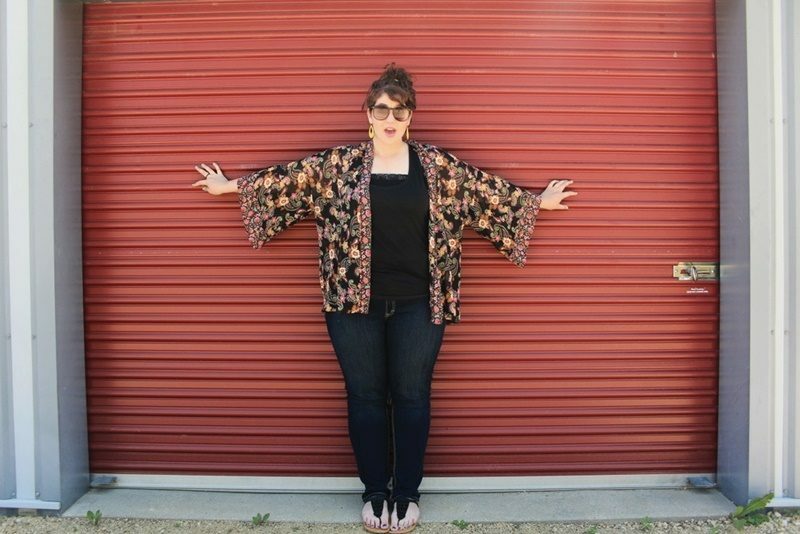 • Locate consignment stores that are plus-size only OR cater to plus sizes. I mainly find plus-only stores in larger cities but you might just get lucky finding a small one nearby. Do a Google search and see what’s out there! 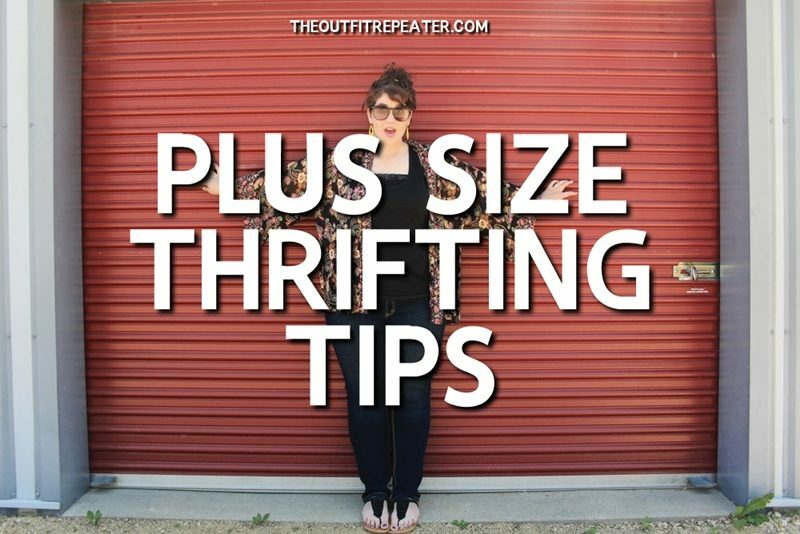 While it’s worth a shot going to a place like Plato’s Closet (that has a limited plus size section) I feel their selection is much, much smaller which I why I recommend a true plus-only consignment store. • Think like the donors. Getting specific on the kind of clothes you’re looking for might help you turn up other locations to go to. Who is most likely to donate, where did they buy their clothes, and what do they do? There might be an area of town that’s better for office wear, or one for creative vintage pieces. • Stick to big chains like Goodwill and Savers, if time is a factor. I totally believe that smaller, volunteer-run shops have value, but I also believe they will likely have a smaller selection of plus-size clothing and it will be matronly. Save those small places for lazy days when you’re not looking for something specific. • Shop vintage. Most of my best and favorite plus-size finds were ’80s and ’90s vintage because the cuts were more generous on smaller sizes. I often wore smalls despite being a solid 2X. Cut and fabric is important. I looked for elastic and stretch as often as possible, as well as oversized fits. • Browse other sections of the store. This applies no matter what size you are. Boys t-shirts, mens button-ups, skirts from the girls section. They can all be creatively worn or transformed into something new! • Shop strategically. When pursuing a rack outside your size, look for certain fabrics with stretch, bottoms that have elastic waistbands, and top/dresses made of billowy fabrics. This tip really opens up a lot of options of what to buy! • Search in obscure places. Sometimes people pick something up and decide not to buy it so they discard it in a random section. I always forget to check the put-back rack but that’s a great place to start for undiscovered treasure! • Be open minded. Maybe a button up doesn’t fit across your chest but it would still make a cute cover-up if left unbuttoned. Try to think of new ways to style clothes other than the original way. There’s a quote I’ve always lived by that says “Having less gives you more room to be creative.” I love that it’s true for both the small selection of plus size clothes you might encounter, but also to having a small shopping budget. • Think beyond stores! Keep an eye out for garage sales that advertise plus size clothes. You don’t even have to guess if they’ll be something for you because your size is right in their offer. Thank you so much for requesting this post! I hope you found a tip or two to help you on your next thrifting trip. If you have a post topic you want me to cover in the future, let me know down in the comments!